In 1990, Susan Hendrickson, one of a team of workers searching for fossils at the Cheyenne River Indian Reservation in South Dakota, discovered the remains of a Tyrannosaurus Rex that proved to be eighty per cent complete. 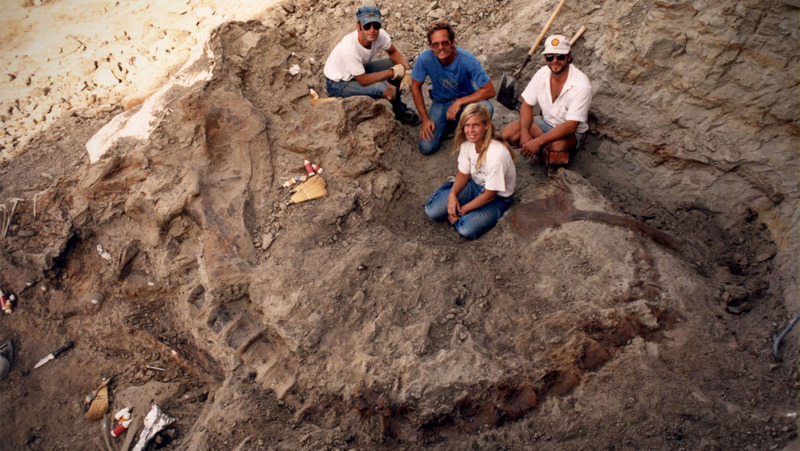 The dinosaur was named “Sue” after Hendrickson, and was purchased by the Black Hills Institute for $5,000 from the owner of the land it was found on, Maurice Williams. The remains were transported to the Institute where their cleaning and restoration was overseen by its president, Peter Larson. In 1992, the Institute was raided by the FBI and Sue’s remains were confiscated. Larson and the Institute were accused of theft from Government land (as the property where Sue was found was held in trust). After a lengthy trial, Sue was deemed to be Williams’ property after all and her remains were returned to him. In the meantime, charges were brought against Larson, his brother Neal and other members of the Institute for financial misdeeds unrelated to Sue’s discovery. While Williams got Sotheby’s to sell Sue for the princely sum of $7.6 million, Peter Larson was jailed for two years. Sue is now on display at the Field Museum in Chicago, while Larson is still searching for and finding T. Rex skeletons. 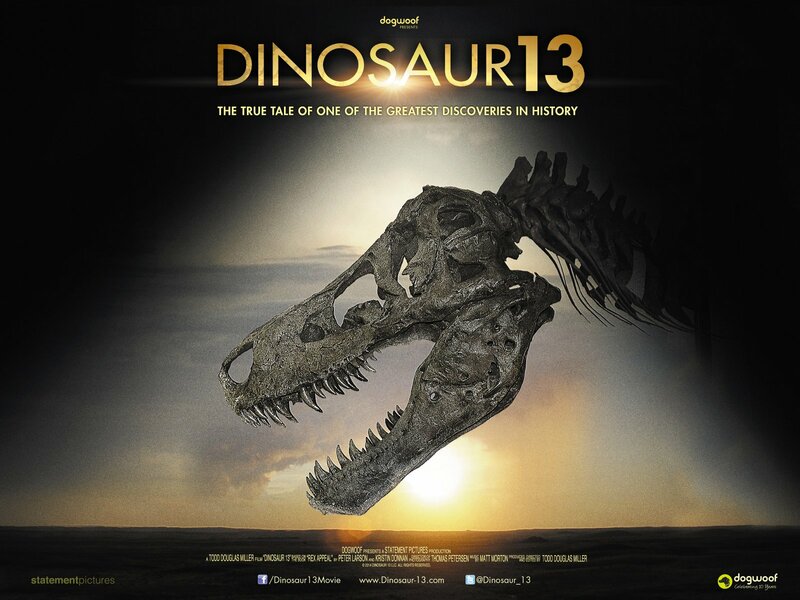 Dinosaur 13 is one of those documentaries that makes no bones (excuse the pun) about its partisanship, and does its best to highlight the absurdities of a situation that could have been easily avoided if only a little background research had been done in the first place, and before anyone went looking for bones in the South Dakota soil. The excitement generated by Sue’s discovery sees the folks at the Black Hills Institute all but fall over themselves to retain her remains, but their lack of diligence in knowing who the land belonged to is scary (as are some of the later misdemeanours the movie reveals). However, the Government’s reaction is clearly disproportionate to what Larson and the rest actually did, and as the draconian efforts employed to convict them become clearer, the movie morphs from being about one of the greatest dinosaur finds in living memory – if not the greatest – into a cautionary tale about the way in which U.S. law can be used to punish a group of individuals. In amongst the terrible injustices meted out to the various members of the Black Hills Institute, there are moments of bitter irony: Hendrickson becomes a state witness even though she has nothing to tell them, and when Larson is imprisoned, his intake papers show the reason for his incarceration as “failing to fill out paperwork”. Miller uses a variety of techniques to highlight and clarify the various events that happened, from interviews with those concerned – Larson’s ex-wife, Kristin, is particularly eloquent – to archival footage and pertinent television footage, to explanatory captions that move the story forward. It’s an engrossing movie that’s intelligently assembled and grabs the attention from the get go; by the end, you’re aghast at the ways in which everything went sour so quickly. Rating: 8/10 – while Dinosaur 13 is clearly on the side of the people at the Black Hills Institute, and decries their treatment by the Government, it’s far more objective than it seems at first glance; leaving the passionate arguments on both sides for the people involved to express, the movie (thankfully) maintains its true focus on Sue and her sixty-five million year journey from the South Dakota hills to the bright lights of Chicago’s Field Museum.